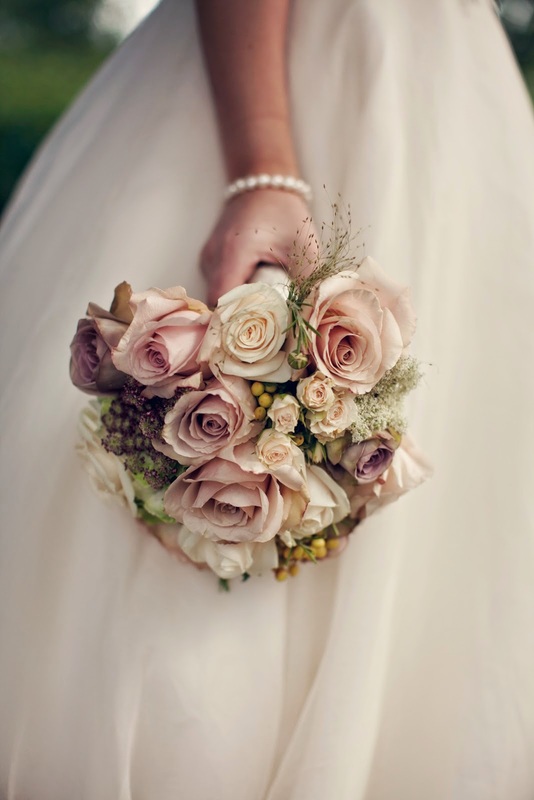 Your wedding bouquet is the definitive accessory for your wedding dress. No matter what time of year you are getting married, there's an appropriate bouquet arrangement and design that will flatter your dress on this special day. A lot of brides don't even recognize that there are various wedding bouquet designs to pick from and each one compliments a particular look or style that can take the wedding outfit from beautiful to spectacular. To select the correct bouquet, discern your body size, the fashion of your wedding gown and the look you want to depict. To flatter a taller bride, or for the bride who wishes to look taller, a cascade bouquet is what you should get. This bouquet has the most flowers at the top, with blooms cascading downward and a trail of foliage, ribbon and flowers which run on past the main bouquet. 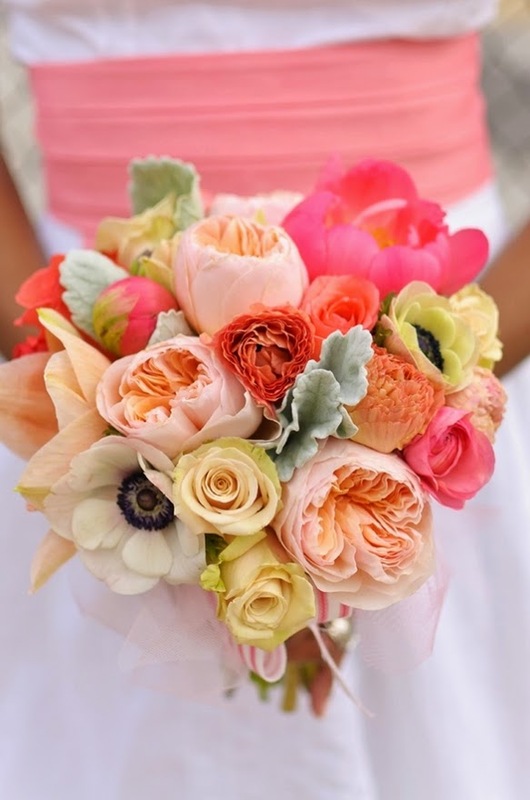 This bouquet is also a good option for the bride who wants to look slimmer. Because it's a long bouquet that is rounded at the top and is pointy at the bottom, it makes the bride look taller and more slender. 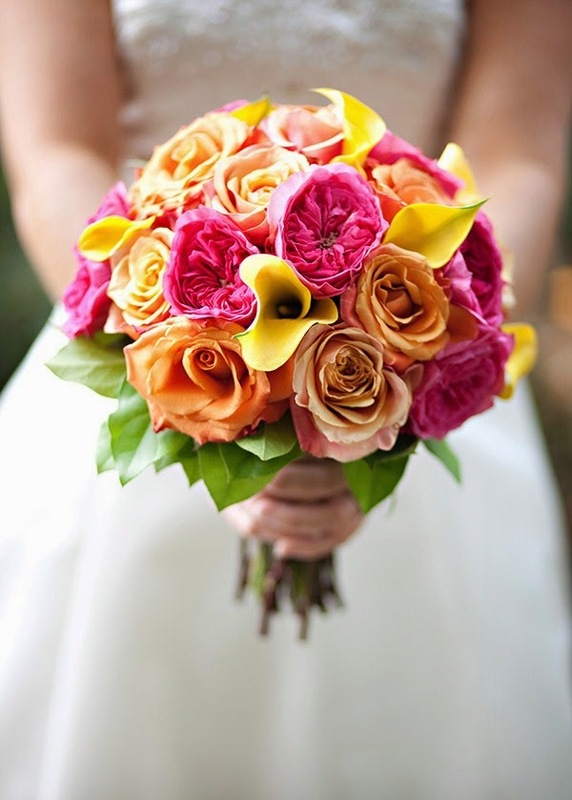 This bouquet design is thought to be voluptuous and elegant, making it a clear choice for a more formal event. The round bouquet is a timeless bouquet design that goes back long before the Victorian era. A round bouquet, occasionally called a nosegay, can be ideal for a formal event, but works just as well in a more relaxed situation. On the other hand, a round bouquet may in fact make a bride's hips look larger, as the round shape calls attention to the hips where the bouquet is usually carried. For brides with a petite body and slim figures, a round bouquet is ideal since the body lines will be in balance. The wedding bouquet is a custom that dates back nearly as far as weddings themselves. While it's clear that the flowers are a representation of fertility, the beginning of the wedding bouquet and the custom of tossing the bouquet (thereby handing over that fertility) to a different available young lady aren't as clear. It's enough to say that the wedding bouquet is nowadays a time-honored ritual that is seen in most weddings these days. Formerly just a small and simple assembly of flowers, the wedding bouquet has progressed over time to the point where hundreds of dollars are now paid out on attractively designed and arranged elaborate wedding bouquets. The majority of modern brides, moreover, will frequently have two bouquets. One ornate wedding bouquet is meant to be carried down the aisle during the ceremony and used in photographs while the other is usually smaller and meant to be tossed into the crowd of single girlfriends who will then go on to claw and scramble at each other in an effort to be the lucky girl who seizes the bouquet and so becomes the next lady predestined to be married. 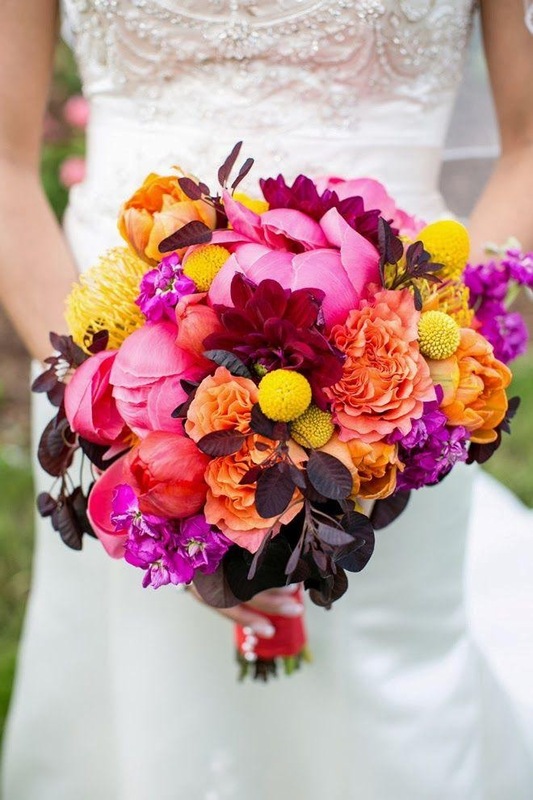 Contemporary florists take a lot of pride in the wedding bouquets they create and offer. Seldom is the plain collection of daisies observed at modern weddings. Alternatively, wedding bouquets now comprise a diversity of bouquet designs, including arrangements of roses, calla lilies, and sweet pea or conventional roses and white lilies. Even sunflowers have made it into contemporary wedding bouquet compositions. The arrival of the internet has expanded the range of obtainable choices in many industries, and flowers are included here. The reality that floral products can be conceived and purchased online has spiked a lot of competition among florists, triggering each to attempt to outdo the others by offering larger and greater variety in all of their arrangements, wedding bouquets included.